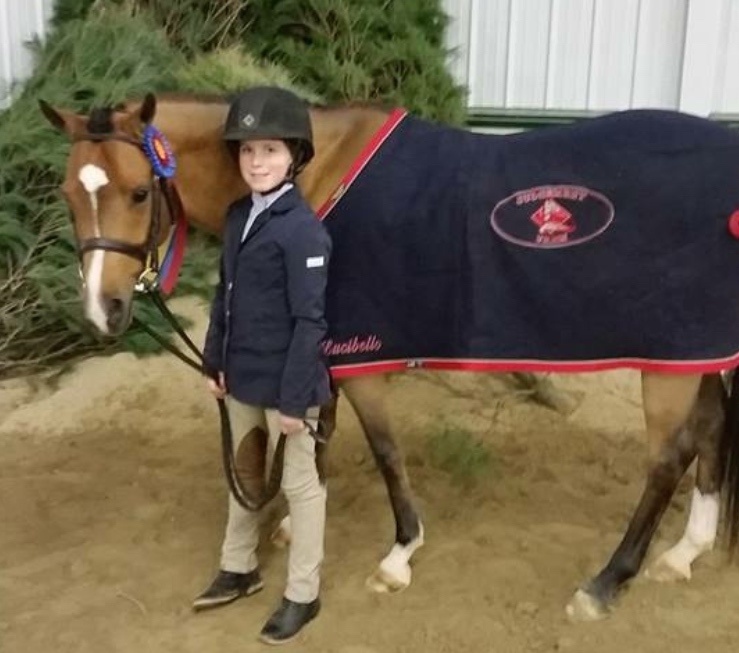 Oswego, IL – November 8, 2015 – Trainer Tina Judge-Boyle of Judgement Farm, believes good horses make all the difference in a rider’s program, and what a difference it made for some of the farm’s riders this year. From the ponies on up to the jumpers, Judge-Boyle’s matchmaking skills earned big rewards. Starting off riding ponies at Judgement Farm, Ava and Emily Lucibello of Naperville, IL, have leased several ponies through the past few years as their riding skills improved. Judge-Boyle matches them with the right ponies for successful and safe learning. Now they own I’m Not Blue, an aged welsh pony and lease Keep It Cool, a six year old Welsh pony cross. Emily Lucibello and I'm Not Blue. I’m Not Blue and Emily, 12, won numerous classes and pony medals during the season, qualifying them for the 2015 USEF Pony Finals. The pair also ended up third in the IHJA Year End Standings in the small ponies, the 11 & under equitation and the IHJA Pony Medal Finals. Ava Lucibello and Keep It Cool. 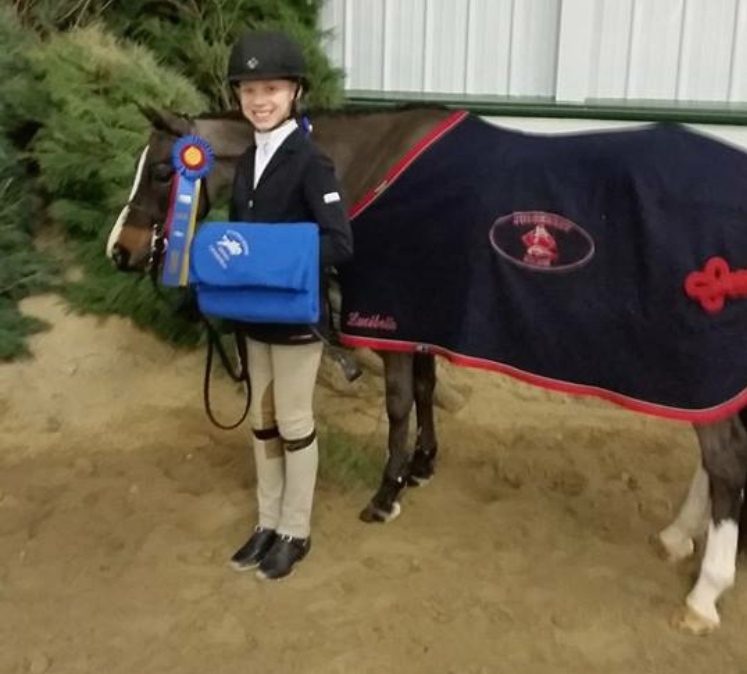 Keep it Cool and Ava, who is 11, earned the fourth place spot in the IHJA Year End Awards in the medium ponies, fifth in the 11 & under and sixth in IHJA Pony Medal Finals. Ava also got to show Finders Keepers at the 2015 USEF Pony Finals. Then there’s Zelda, the 17-year old grey Warmblood mare, who helped owner Kesley Taylor of Naperville, IL, win eight Championships this year in the Children’s Jumpers and two Reserve Championships. The pair earned a spot on the Zone 5 Team for the USHJA Children’s Adult Amateur Jumper Championships North Region, which took place at Ledges Sporting Horses in September. Zelda and Taylor won the $2,500 USHJA Children's Individual Qualifier and anchored the Zone 5 team to earn the Gold Medal in the $2,500 USHJA Children's Team Finals. The duo was on fire as they moved into the final phase of the Championships, taking the $5,000 USHJA Children's Jumper Individual Championship and gold medal. Kelsey Taylor and Zelda were tough to beat this year in the Children's Jumpers Photo by Andrew Ryback. Later that month, the blazing grey galloped to win the $1,500 NAL Children’s/Adult Jumper zone final at the Showplace Fall Classic, qualifying them for the Pennsylvania National Horse Show, where the duo was also honored for their achievement of being number one in the NAL standings in 2015 for the entire U.S.
As the pair moved into the indoor season, they finished 7th in the $10,000 WIHS Children’s Jumpers at the Washington International Horse Show in October. The combination earned over $17,000 in Children’s Jumpers prize money for the season. Felice Hybert and High Honors. Photo Annan Hepner/Phelps Media Group. 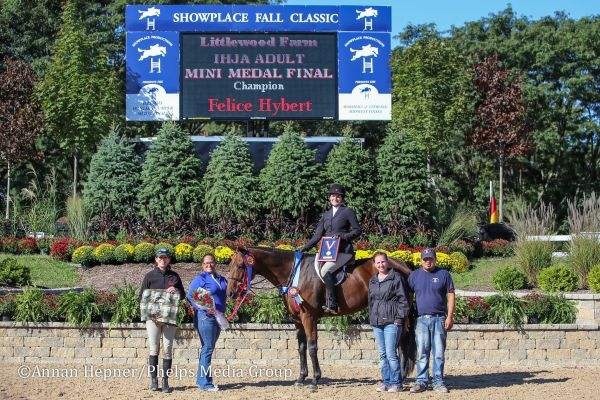 In the equitation ring, another well-matched Judgemet Farm rider, Felice Hybert and High Honors, an 11-year-old thoroughbred, earned the Championship in the IHJA Adult Mini Medal Finals. The pair scored an 80 in the first round and held their lead through the work off. Katlyn Van Dyke and Wayfarer. Photo Annan Hepner/Phelps Media Group. 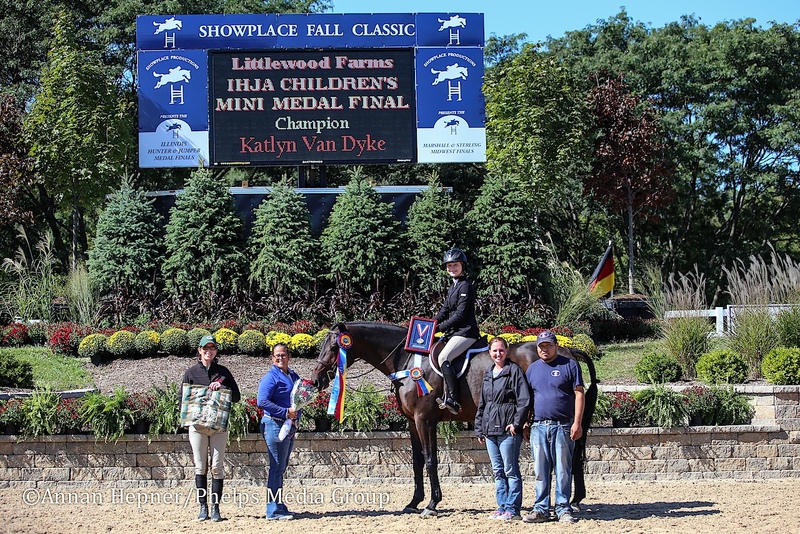 The IHJA Children’s Mini Medal Champion was 12-year-old Katlyn Van Dyke, who has only been riding for two years. Aboard the 10 year old Hanoverian, Wayfarer, the duo rose to the occasion in the work off to win the championship. A big Judgement Farm winner is Gia Gulino, 16, and her horse Cappello. The pair managed to qualify and compete at the USEF/Pessoa Medal Finals and the ASPCA Maclay Finals the past two years while also competing in the Junior Hunters. Cappello is a seven-year-old Dutch Warmblood. This match also qualified for and competed at the Devon Horse Show in the Large Junior Hunters. Gia Gulino and Cappello. Photo Shawn McMillen. 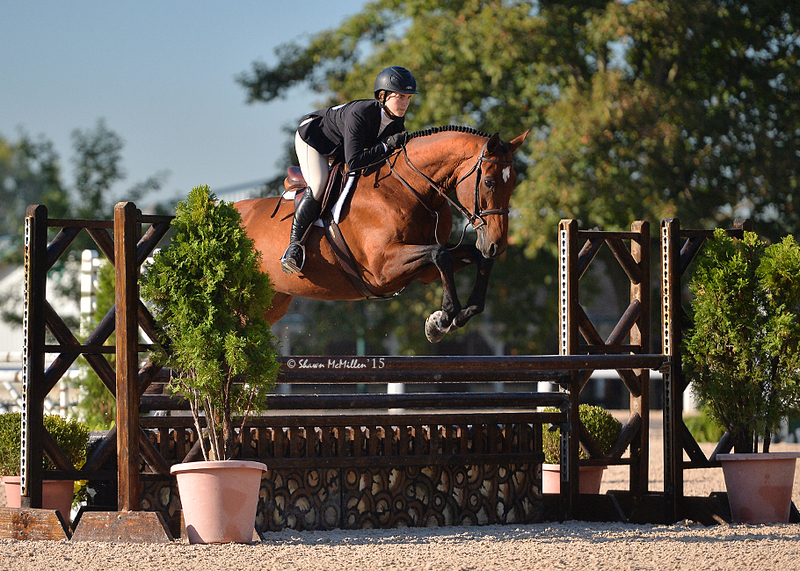 Gulino and Cappello wrap up the year as the IHJA Grand Champion Junior Hunter. Judge-Boyle does much of the riding at the farm herself and is particular about the horses she sits on. From the championships the farm earned this year, it shows their program is working and Judge-Boyle’s matchmaking skills are doing the job.